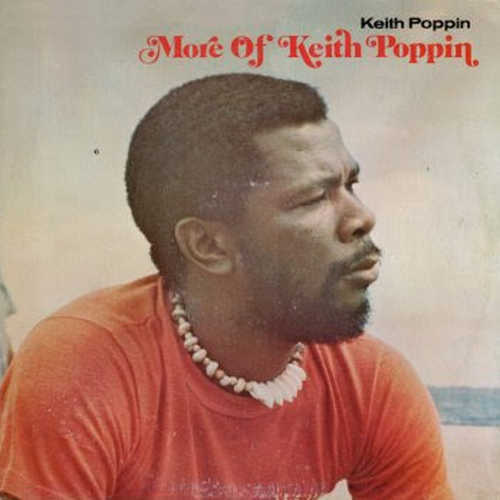 Keith Poppin is one of those names you’ve just got to take a closer look at. 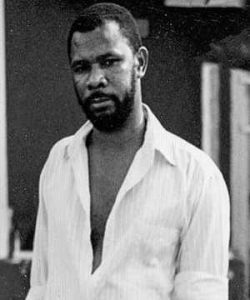 His career stretches back to the late 1960s, entering the studio at the well known address of 13 Brentford Road, Kingston, Jamaica. At the start of the 70s, his group Rocking Horse had a few hits for the Federal and Randys imprints, and then he went solo, hitting with such great shots as “Same Thing For Breakfast” (his biggest success so far, recorded for the Spiderman label), “Get Together” for the legendary Glen Brown, the hit song “Envious” for Phil Pratt, the superb “Some A Dem A Go Shame” for Clive Chin, and the roots classic sound of “Hold Not Thy Peace”. Unfortunately, after many, many memorable recordings and at least a public success without much money to see from it, Keith more or less vanished from the scene in the early 1980s. His career is a typical Jamaican reggae story of “praise without raise” and one I definitely felt should be told. He still possesses this soulful voice I grew to love when first hearing his works sometime in the late 80s. A new release is out now, titled Journeys, and one I beg you to lend an ear to. I can assure you it will be worth it. I spoke to Keith in mid-October of 2002 over the telephone from his American base, and this is what he had to say… Many thanks for help in getting this interview “off the ground” to Bob, Mike, Clive Chin for the link, and to Keith for taking the time to discuss some events, “trials & tribulations”, of his long career. I was born in Westmoreland, Jamaica in May, 1949. What were some of your early influences as far as music and entertainment goes? I am a big fan of the Motown sound. You know, most Jamaican singers… we always listen to the Motown sound like Marvin Gaye, Diana Ross, and Otis Redding, you know what I mean? And then… you know I personally was a big fan of that Motown sound until this day. But locally… what captured you most? OK, locally man, I was into like… you know, Bob Marley and we listen to Toots and the Maytals. Because Toots was until this day a great, great showman. I liked to watch Toots on stage, you know, so I always admired Toots live and stuff like that. And I liked the Paragons and the Heptones and a couple more a dem Jamaican singer that we liked to listen to. But my favorite was the Maytals then, and the Clarendonians too. By asking that question I´m trying to trace where you got that vocal style from? I suppose it was something that evolved over the years but… you know the obvious influences? Well, to be honest, I don´t pick no style from any other singer. God just bless me with a voice and a style to go with it. You know, I can sing any song… like a bass tone, and a tenor sound. So the Lord bless me in all different area in the music and singin’ business. If it comes to it I can sing a backing vocal for anyone, really. But I am more a lead singer than a back up singer. I Suppose you were a church man too, started out in a choir and all that? Oh yeah. I grow up with a Baptist church in Jamaica (laughs)! What I used to sing… my favorite song man was like “Amazing Grace” in times weh a little boy. (sings) “How sweet the sound, that saved a wretch like me…” And to this day I love that hymn. Everybody mostly in the whole world like that song. But that was one of our favorite songs during the Baptist church. But I still go to church, y´know. How big was your family? Oh, my family was big… eleven of us. Did any of your brothers and sisters sing, or encourage you to approach the business side of it? You come from Westmoreland, like Ronnie Davis too, right? Yes. Ronnie is in Sav La Mar. I was born right there in Westmoreland and grew up in Kingston. At what age did you come to Kingston? About 17. ‘Cause I remember when President Kennedy was murdered and I was studyin’ at bible school, y’know, and then… I remember that Friday afternoon whilst at bible school we heard the news that the President was shot. And shortly after that now I moved on to Kingston to live with my father. Before, I had stayed all of my life up to that point with my grandmother. So there’s no father guidance around, y’know, so I pretty much do on my own. No father to say “Keith, this is wrong!” or whatever. So that was a world I had to face and do what I gotta do… and shortly after I have to leave my father house now. He used to live in Vineyard Town, Almond Town… you name it. But I used to mostly grow up in Almond Town. That is close to Heroes Park. So from what time did you start to write songs? When I came to Kingston… in church I used to be such a good singer that missionaries from, like, all over the world come and go up to the country to teach about Christ. And then when they hear me sing in church, man, it’s like some of them off to my grandmother now and say it would be better if I go abroad. One of the missionaries want adopt me to Canada. And I remember one wanted to take me to America. And my grandmother say “no”. She can’t give me up, because she don’t know what my father might say. Then after I go to Kingston and moving around now and I can sing and listen to the radio and hear the other rest of the guys dem how they sing. And go to the record store to hear other people’s record and go to the concerts like Saturday morning when you go to like the Carib and Regal Theaters and see all singers on stage. It influence you a lot so you wanna be “there” too. So, rehearse now and we start practice and get a group together, Rocking Horse. And some of the guys dem in Rocking Horse now… we change about two members. Some of them don’t want to show up for rehearsal, y’know, that is so true! That will always be the problem with groups! You know, some guys want play dominoes… or whatever. Always a big problem when we supposed to rehearse! I remember actually me and one member called Winston Newhill (Newell?) we actually have to fight… for rehearsal! One time I think we get a little money from a record producer and… he (Winston) was the first one there (laughs)! To help to collect the money. And the guy don’t wanna rehearse. So eventually I get rid of the group, man, and get out ’cause I know I’m a singer by myself and is me who used to carry the group, singing and performing… get a little concert here and there in Jamaica. I’m the one people used to tap on (?) for performing on stage. And then people used to call me “Mr Energetic” in Jamaica. On stage I used to go from corner to corner and people loved that about me! When did you hook up with Jimmy London? A: I met him in Kingston. He used to have a group named the Inspirations. They used to sing for Lee “Scratch” Perry. 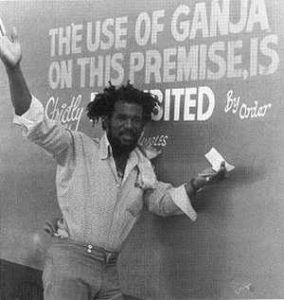 And Lee Perry used to be on Charles Street in downtown Kingston and then Prince Buster used to have his record store on the other side of the street. And then Bob (Marley) was with Scratch on Charles Street. They did “Duppy Conqueror” and “Small Axe”. I listened to them when rehearsing over by 36 Charles Street and they used to rehearse at Scratch record store round the back. And Glen Adams and Family Man and Carlton Barrett, the one that passed? Yeh… all of them used to come by Charles Street. Then you have David Isaacs (later a member of the Itals). He sing a song for Lee Perry now, “Place In the Sun (There Is Hope For Everyone)”. He did a cover version of that… by Stevie Wonder. That was a big hit for David Isaacs way back in the earlier days. Then I start to record for Lee Perry, the one I sang… and he make many versions of this song called “If You Are My Girl (Tell Me You Love Me Baby)”, and he put it out. I think he called it “Serious Joke”! (sings) “…if you are my girl, tell me you love me baby, if you are my girl, hold me and kiss me darling, you know I love you baby, no one would hurt you honey, if you just stand by me…”, that song. Then Scratch make a lot of different version of that song as “Serious Joke” and my version of the song, called “Stand By Me”. I think I sing about three songs for Perry. Jimmy London, now him sing a song called (sings) “won’t you tighten up, tighten up baby…”, that song. That sold a lot for Jimmy London and another guy called Billy Dyce in the early 70s. After that Jimmy London move on to Randys in downtown Kingston. I myself went to Randys, too. And then I move on to Phil Pratt. 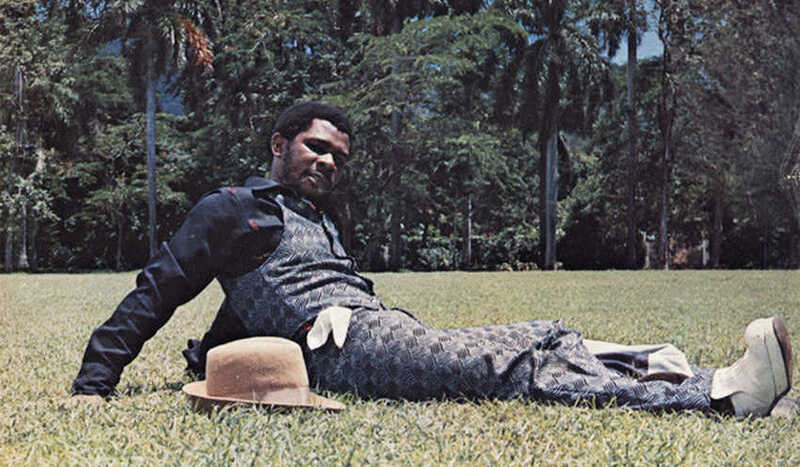 Now, Lloyd Campbell… I did “Same Thing For Breakfast”, that sold like 45,000 copies in Jamaica alone. Then I do another… a cover version for Lloyd Campbell, “Before The Next Teardrop Fall” (sings the verse). And “Whenever There Is Moonlight”. I do quite a few songs for Lloyd Campbell. Rocking Horse. What I’ve heard is that Keith Chin (Randys) “discovered” the group and made the first big records… what’s the story? No. We used to sing for Federal record company. That was for Ernie Smith. He used to be producer for Federal and the Khouris who used to own Federal record company. 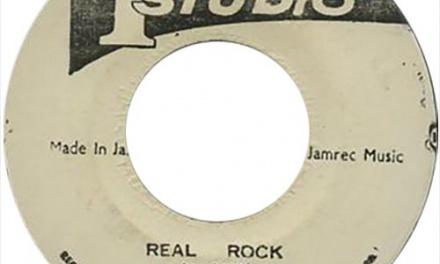 It’s now owned by Tuff Gong. Then with me, I’m the leader for Rocking Horse and we go down to Federal and Ernie Smith listen to us. First of all, how did that link to Federal come about? Why did you decide to move to Randys? Well, at the same time Jimmy London used to sing for Randys and we was spar at the time, you know what I mean? Then we talk to Keith Chin, who is uncle to Clive. I believe we enter with another festival song. I think we did a song called “Festival ’72”. Keith Chin record that song and then we move on to “(I Am A) Righteous Man” and “Hard Time”. So what happened with those songs at the time, they sold well? Yes definitely… in the 70s them songs sell a lot. That’s what people know us from at the time. What about “Ram Daughter” for Randys? You did that one solo as well didn’t you? No, I never do a solo cut of “Ram Daughter”. Me and Rocking Horse did sing that… (sings) “the children them a ram tam tam…”, something like that. So, no… I never redo that song. Keith Chin now… I am no longer in Rocking Horse and started solo by myself. 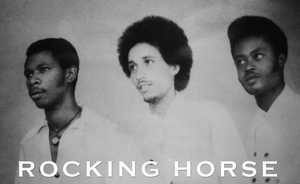 There’s other tracks credited to Rocking Horse. One on the Rocking Time label, “Hold On Strong” with Eric “Monty” Morris? No, that’s not me. I never do a song with Eric “Monty” Morris. Also, I forgot to tell you, Peter, that when we just start the group we went to Sir Coxsone Dodd. 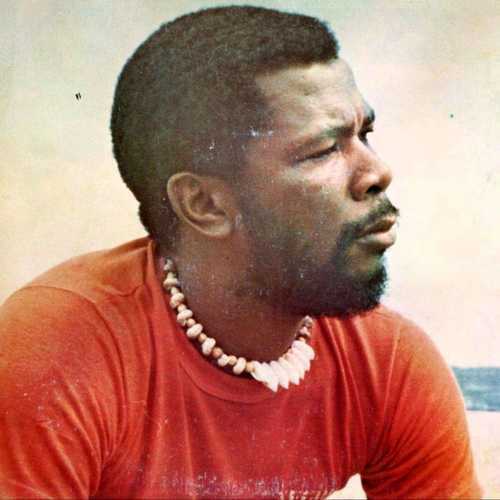 Coxsone have the first cut of “Envious”. He have it on tape, with Jackie Mittoo playing organ on that recording session and Leroy Heptones playing bass. We used to call the group The Robbins. I sing about three to four songs for Coxsone Dodd. Then there’s other songs with Rocking Horse such as “Be Thankful” (on the Sydna label), “Better Beware” and “Festival Bells” on Merritone? “Better Beware”? Yes, that was for Federal record company. Then there’s “I’m So Fed Up” on Panther in Jamaica (Randys/Trojan in England)? “I’m So Fed Up”? Hmmm, yes. There’s some female voices on it I think? Also, you have “Play The Music” on High Power? “Play The Music”? Well, as Rocking Horse… if it’s not for Federal then it is for Randys we really record for while I was in that group. You had “Running Back Home” on Top Cat too? “Running Back Home”? 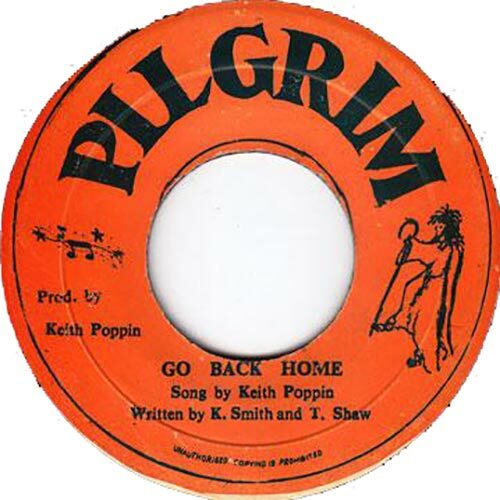 That one… I think I have a song (later) called “Go Back Home” and it could be the same song? Then some of the last songs with Rocking Horse before we split was… “Ram Daughter”. After I think we did some backing tracks for Lloyd Parks, with “Officially” and stuff like that. This is around 1974, somewhere along that line. And then I decide to move on. So who played on some of those Randys tracks with Rocking Horse? What made you decide to finally split with that group? Well, to be honest I wasn’t a follower, I was a leader (laughs)! So, most of the time one of the guy in the group, he say that he wanna lead. And he carry a falsetto voice. He cannot lead all the songs on falsetto. Like he wanna lead the song in falsetto when it don’t fit a falsetto voice! You know? Then he go into a lotta arguments too. He was doing other stuff weh I don’t wanna… he smoke. That’s on him if he want to smoke or more time get him liquor up a him head, stuff like that. Sometimes he turn up for rehearsal and don’t wanna turn up again or show up for a concert and him don’t have any outfit to wear and whatever. And I couldn’t take the headache man! So I just decide to get out a that group stuff ’cause it’s not working. So I just move on. What was the line-up of Rocking Horse at that time, apart from you and Jimmy? 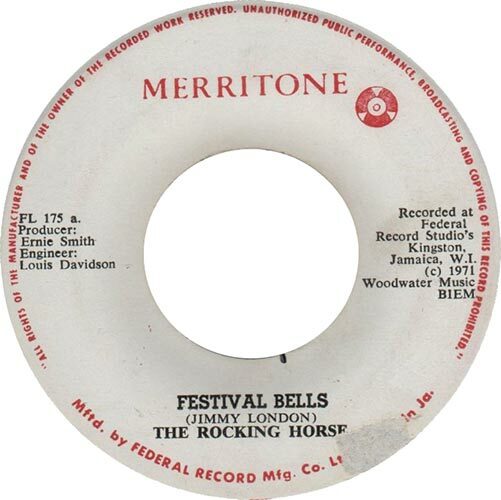 No, Jimmy (London) wasn’t in Rocking Horse. We had Winston Newhill, from Port Antonio. And a guy called Junior Green, from Clarendon. Then the first “step” you took to go solo, was to Prince Tony (Robinson)? Yes sir, I move to Prince Tony. I do “Kick The Bucket”. I never saw those records, y’know. And “Six In One” with (sings) “tek it easy, tek it easy, there’s no need to worry…”. That was one of the songs on the “Six In One” and that sold good too. 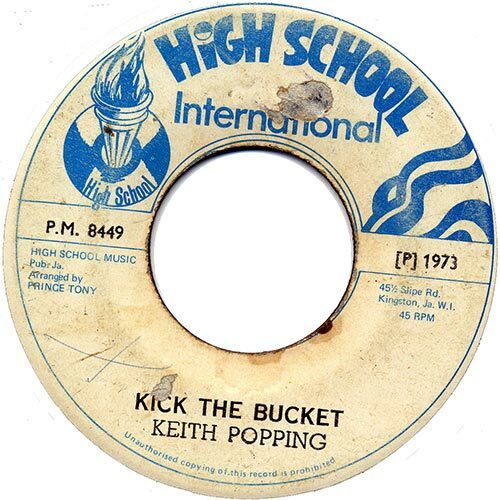 Then you had “I’m A Man of My Word” (actually the flipside to “Kick The Bucket”) on the High School label, and “Prophecy Revealing” on International? Man, you tek me right back now!! Yes, them songs… you know, one time in downtown Kingston, we supposed to get some money and Prince Tony come out a him car, a Capri. That Capri car was running Jamaica hot. Everybody have a Capri car! And Prince Tony tell us to hold on, him going to get the money and come back. So Prince Tony go to him car fe a lass! A cutlass. I remember, man! Him draw the cutlass after us man! True him suppose to give us some money and him never give us no money. 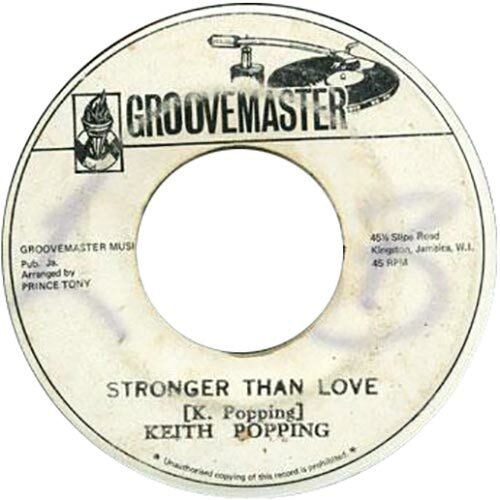 There’s another one for him “Love Me Strong”, released as “Keith Smith” on the High School imprint too? “Love Me Strong”? Yeh, I’m trying to remember them songs I do for Prince Tony. I do quite a few song for him. Like I said at that time after I leave Rocking Horse I was singing for him you have like the Chosen Few, Scotty. You have Jackie Brown singing for Prince Tony. You have this guy that sing “Buttercup”? Then you have “Stronger Than Love” on TR Groovemaster, perhaps done a bit later on? So you did quite a few recordings for him. But there was never an album? No. With Prince Tony now… all of us singers so true in Jamaica now. We used to, like, hang around the pretty bwoy singers them. 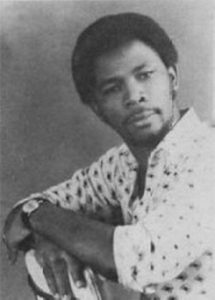 Like in those days the pretty bwoy singers them, you have Chosen Few, Derrick Harriott, they leave… for they go to Prince Tony. 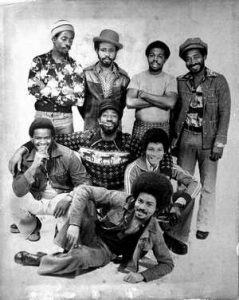 The Chosen Few guys, them, they was the slick singers in Jamaica weh every stage show you have a lot of girls. You have Scotty and another guy “Pretty Boy” Pat Satchmo! And then Prince Tony used to drive that pretty Capri car and stuff like that. Me personally like to hang around them, y’know! For me like to drive them pretty car too and all them t’ing and hang out with all a them other singers, you know what I mean (laughs)? It’s true. I’m just telling the real thing, the facts. But I don’t get no money from Prince Tony. Is just promises, promises… and we now come fe wear these big heeled shoes, them tall platform shoes and wearin’ them bell-foot pants and then… my head is bald right now but y’know you had the “soul” (laughs)… you get your hair plat up during the night and get it out in the morning with the afro pickment!! (much laughter). Yeh, so it’s kinda like a “sweet bwoy” image, y’know! That go in the recording world too, you know what I mean?! Then it was time to move on again, I guess. You had records for different producers like Techniques, Taurus, Galaxy, Spiderman, GGs. 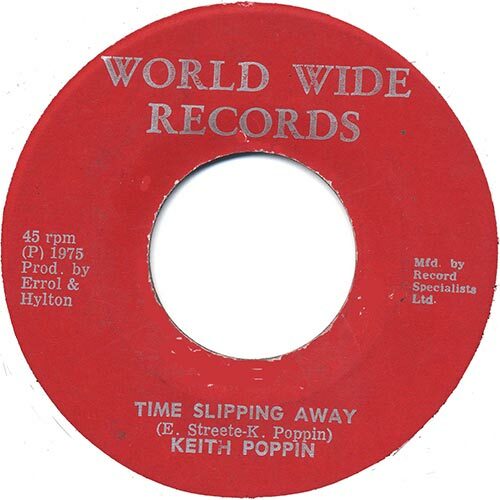 There’s this one “Time Slipping Away” (World Wide) around 1975? “Time Slipping Away” is for a guy who used to work for Joe Gibbs, a guy called Errol. He asked me to sing that song (sings) “time is slipping away now, and me nuh get fe mi yet!”, that song. I think I sing two songs for Errol (sings) “my darling you told me that you care, what have I done?”. That one… “What Have I Done” is a Wilfred “Jackie” Edwards song. Yes sir! Man, you do some real research on me? You really research me bad (laughs)! Then I think next I go around to Duke Reid, Treasure Isle studio. 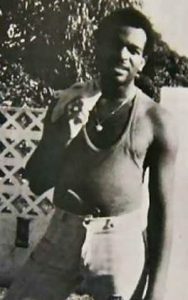 BB Seaton was producing some songs with Jimmy London. And Glen Brown now, he had me sing this “(I Wanna See My People) Get Together” (for Pantomine). How did that Glen Brown session come about? That’s the “Boat To Progress” compilation you refer to, I guess? A: Yes, sir. He track down the CD and get it from somewhere in California, so I got the CD here now with that one song on it. So you only did one track for Glen Brown? Well, to be honest, I personally never consider Glen Brown… to be a stable singer for him. You know, them guys was just trying a little thing. They were more looking out for them own self, more than look out for another artist. You know, for… an artist not gonna look out for another artist when you look for hittin’ the limelight just like the other artists. Right? So it just happened like Glen Brown didn’t want… but who knows what would happen if somebody might ask you and the person who you think you’re not gonna sing for, that it might give you that international…? It might be that person you’re gonna do the hit for? So, I seh alright, I’ll sing it. And I just sing me song for him, but… it never work out the way how I’d expect. So I never hear nutten more about that song. Until today I never hear from Glen Brown about it. I see him in New York now and he plays (percussion) on my new CD and he said he don’t get any money from the person who put out the album in England (Greensleeves, who, for whatever reason, deleted those three Brown compilations only a few of years after release. -P). But I don’t think I buy that story! Is just because he come front face to face with me now that he tell me a hard luck story. But you know… I’m still here. Then you went to Lloyd Campbell? Yes. Lloyd Campbell now, he just leave England and come to Jamaica. Lloyd Campbell was working at this dry-cleaner at Parrington Bridge right up by Carib Theatre. Back beside Carib right with KG. KG used to have a record store in Cross Road. That chiney guy he used to work at the dry cleaner. He said he have this riddim and him have the song “Same Thing For Breakfast”. He was looking for somebody to sing the song. I don’t think he had any money to pay somebody else to do the song. Somebody tell him… said the song require a deep tone, in some part of the song. Like some part like this (sings) “I’m not gonna say you should run around, looking for something you ain’t put down…”, right there. You hardly find a Jamaican singer can sing a bass. So him said somebody tell him that “check Keith Poppins”. Alright, him check me and we do the song one Friday afternoon at Harry J studio over by the Stadium. Ansel Collins him said he take the riddim and lyrics over from England. And him give me the lyrics a de song and I studied it. 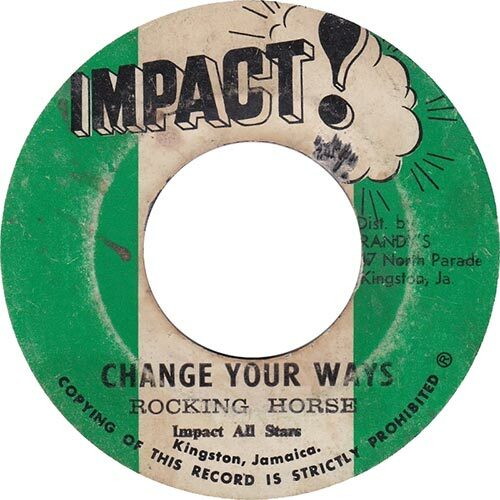 We go up by Harry J now with Ansel Collins who dubbin’ the keyboard part. He said the riddim were made for this singer in England called… I think he sings one (sings)” I’ve got nose to travel, I just can’t see my face…”, something like that. He give the song to Mr. Pottinger. He used to have his record place on Orange Street. 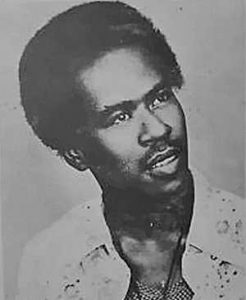 Mr. Pottinger was the one who pressing the song and Lloyd Campbell selling the song out of him van. 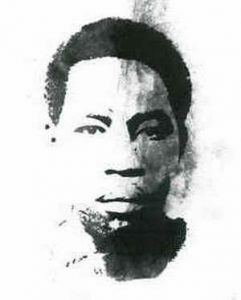 Now Mr. Pottinger start distribute the song and one time I go inside Mr. Pottinger’s and a guy said “bwai Poppin, you know what man, you have a hit man an’ it gone 45,000!” And you know, Peter, the only thing I can remember that I get… my mother passed away in 1973 and I didn’t have any money to help put my mother away. During the time when the song sell a lot for me and I go to him and said “Lloyd, I need some money fe help bury my mother”. Him said he don’t have any money. After I sing the song for him then his attitude change towards me. Him start to pass me now and don’t talk to me no more. And the song is on the charts now. During the time when Barry Heptones sing “The Book of Rules”, you remember that one? That song was number one the Friday night. And then my song was number two. Then Lloyd Campbell said if me know somebody who me can get the money to borrow from, then he would give back the money to pay the guy. So I went to a friend and he lend me a hundred dollars and I take it and give it to me big sister. I think I remember that Lloyd Campbell give me back the hundred dollars or if I get it somewhere else to pay back me friend…? But I NEVER get a penny, Peter, off “Same Thing For Breakfast”! Then he got “Whenever There Is Moonlight”( which was put out through Matador in the UK on Eagle/Jama, but was a Lloyd Campbell production) which is a Jackie Edwards song… never get any money from that. Me sing “Same Thing For Breakfast”, a big, big hit. Until this day I never get no money from that! I do another Jackie Edwards song “Why Make Believe” (Lace) for him. That go to number two on the charts. I do a next cover song, “Before The Next Teardrop Fall”, that Charlie Pride song. I notice Lloyd Campbell him stop talk to me now. Him see me on downtown Parade and dem t’ing. He go on like him don’t know me! This is a guy who come from a cleaner business and used to drive a cleaner van! Take up people’s dirty clothes and give to different cleaners. Him turn to big superstar now and him no talk to me no more when he have a hit record. Dougie (Bryan) now, who used to play with Jackie (Jackson, the Dynamites bass player) from the Supersonics, and Dougie now, he used to have a green Capri 2000 and Lloyd Campbell bought the Capri, from Dougie. He pass me all a bus stop, me as the singer, yunno! And him have a girl inna de Capri. And me is the man who sing the song fe him that him could give up the cleaner job and him start to record other singers now. 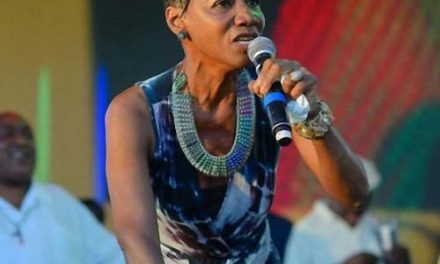 Me go to a party one night, and Joy White there happen to know seh is me that is Keith Poppin with “Same Thing For Breakfast” a gwaan with the t’ing in Jamaica. Joy White start talk to me and me tell Joy White “OK, I can take you to Lloyd Campbell”. I take Joy White to him. And she do “(All Dem A Try To Fight Dung I Dem A) Dread Out Deh”, remember that one? “Dread Out Deh”, that was a hit, too. So, is me, this bwoy Keith Poppin who bring Lloyd Campbell into the fortune of fame when into today the guy don’t talk to me any more! The guy act like him malice me. I don’t get no royalty from him, nutten at all I get from him! NOTHING! And Peter, the way how I’m telling you man, weh Keith Poppin say… I want you to publish it the same way, that I don’t get a PENNY from him!! One time I go to England and go down to this place, it must be Jama? Campbell him give Jama some songs to put out with me. And I go ask Mr Jama… a likkle short man and said “you have some little royalty for me?”. Him seh no. “I don’t have any royalty for you, Keith. Lloyd Campbell collect all your royalty. Go to Campbell for your money”. Then I go to Lloyd Campbell and ask him “what about the royalty for Jama seh you have the money for me?” …and until this day I don’t get any money from Lloyd Campbell. But you know what then? The Lord bless me so much that I don’t have fe ask Lloyd Campbell and none a dem for anything. For the Lord bless me with a brand new house. Just me and me wife live here. The Lord bless me with a big Ford Expedition. Me drive a big Ford Expedition. The Lord bless me and bring me further that me mek them show this CD I’m coming out with now, it gonna eat up the whole a dem! You know, I never get a 500 dollar royalty yet! From all a dem songs. From none a those producer. You know what? No more a dem! Never! You have to pay to learn. And you know wants? Wants is a terrible t’ing. Sometimes is just wants a you sing fe certain people. But this will never happen again to this bwoy, Keith Poppin! What about “Love Affair” for Spiderman? And “Trod On” (Lucky Star) for Warrick Lyn and Jah Lloyd? “Love Affair”? Yeah, I say (sings) “today tomorrow is just the same, just the same for you and me girl, walking down the street holding hands together, talking about love affair…” (laughs). Warrick Lyn’s for Dynamic Sound. Oh yeah, Mr. Lyn! 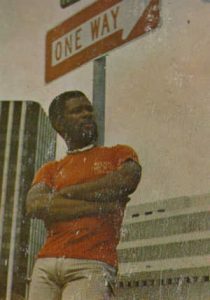 There used to be a chiney man at Orange Street named Mr. Lyn and he used to do some recording, so I did that “Trod On” for him. You had “Stand By Me” for the Galaxy label? Yeah, that was a song I do for Lee Perry and then I re-record it over. And Jimmy London also re-record back “Tighten Up” on the Galaxy label too. 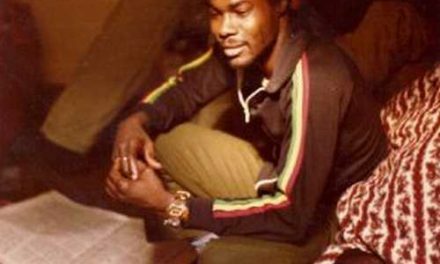 There’s this other one-off on Intel Diplo, “Jam Down Festival” for Peter Tosh? Intel Diplo… Peter Tosh now, you see Peter Tosh is a very private person. During his lifetime. Then Peter said, well, he’d like me to sing for Intel Diplo label. How did you link up with Peter? Yes. I have the record here still but the vinyl broke, fell to the floor and broke. Yeah…for GGs, up by Half Way Tree. I sing another one for him called (sings) “there is a girl somewhere for me, and I really have to find her…”. I think I sing about two or three tunes for him (Alvin Ranglin). Those producers you did one or two songs for… there was never talk about doing an album, or how was the deal? Like you said before…you gotta pay to learn. But it’s a pity that you have to “pay” so much! It kinda grieve me when I’ve contributed so much to the business that… when you remind me of so much of my songs that I don’t even remember and I have nutten to show out of it. I mean some people, they live big off of me, they drive big car. But, y’know, is just life. Make dem stay. But you can at least be assured that you have made timeless music, something lasting. Yes. Thanks for that, man. It’s true. 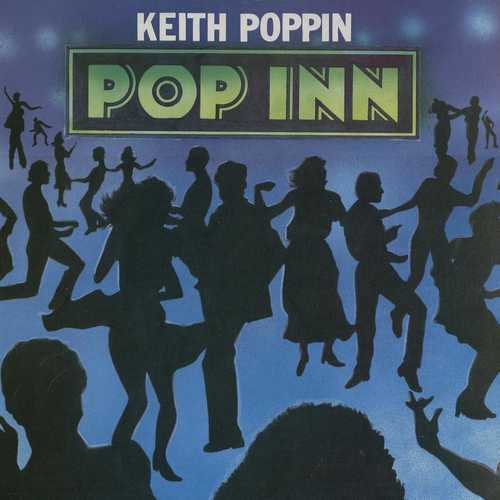 Up to this day people have still listened to Keith Poppin. This CD I have now it going blow me back right up there man, again. I just wanna have someone to distribute the CD properly. An artist can only do so much, y’know? You did two tunes for Taurus, “Birdie” and (a roots favorite) “Hold Not Thy Peace”? Who is Charles Reid? Related to Duke Reid? So please tell me more of how you got into the works for Phil Pratt? Okay. I go to Phil Pratt in 1976. I record “Envious”, “Who Are You (That I Should Be Mindful Of)”. “Envious” sell some 36,000 copies! And “Who Are You” again sell in the same region like “Envious”. So I had two hit that same year one behind each other, for Phil Pratt. Then I come with the great “Some Day Girl” on the “Who Are You” riddim. That’s the same riddim. Only thing we get is “Trommie”, Don Drummond Jr… I don’t know if you know who that is? Yes sir. He put in the sax (actually a trombone -P.) in it. Those three song was three big seller for me right away there so in 1976. Then now I move on to the “Envious” album. He want me to do an album. At least him want take me now as one a him stable artists. For him know I can sing. I’m the one who make the label (Chanan-Jah/Sun Shot) start to be known now again. Bringing in the money for the label again, y’know? 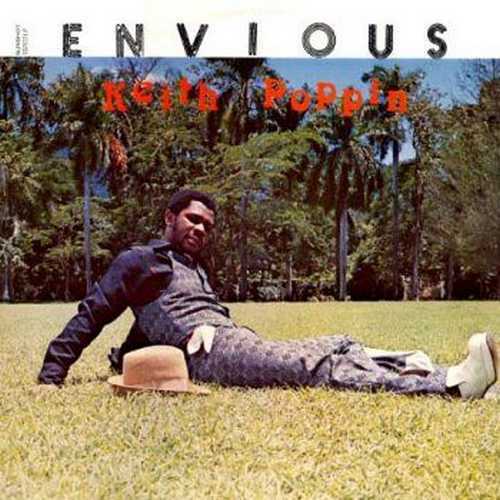 So I do the “Envious” album (this LP came out in different form as “Pop Inn” on the English Burning Sounds imprint, a release Keith, when mentioned to him, didn’t know anything about. -P). Then I do some other 45 like “A Whey Me Do (Mek Yu Deh ‘Pon Me An’ Don’t Want Ease Me Up)”, an’ song like those. Quite a few more songs I do for him. Like “Hop Scotch”, a lot of songs I do for Phil Pratt. I think actually I do two albums. Then I take Jimmy London to Phil Pratt and he start sing on the label. Pratt now go off to England. Then he send a ticket for Jimmy London, first. And Pratt is supposed to send a ticket for me too, for I was the first singer who put money in Pratt’s pocket, on the label. Jimmy London tell me that when he go to England he have to tell Pratt seh “what about the ticket for Poppin”? So Jimmy say he actually have to pluck out the ticket out a him! For him send the ticket for me. Then me and Jimmy London there in England actually for six months. And doing some likkle shows and stuff like that and no money. With no proper management… you’re not treated like an artist, you’re treated to… they wanna show you like some likkle club. Only thing I remember, I sing a Empire Ballroom. I sing at the Bouncing Ball Club. We sing in like Birmingham, Huddersfield, Reading, Slough (? ), but no money coming in. Some likkle gig-gig-gig… that me never personally want find myself doing! Out of circumstances you just gotta do what you got to do. Who backed you up on that tour? But you went back to Randys for a couple of tunes like “Behold Them” (Roots) and “Some A Dem A Go Shame” (VP)? Like “Do You Love Me” and “Go Back Home”? That was on the Pilgrim label. Yes. “(I´ve Got To) Go Back Home” is my record. Pilgrim is my label dat. And that Teddy Pendergrass song (“Love TKO”, on Reggae). Then me have another song called “chat you just a chat you just a Labrish Labrish”. Me do that for myself and a next guy called Patterson. (laughs) It’s true man! Well, you know how it go, man! Just struggling. Do one off show here and there, like Negril. To survive. Work ‘pon the northcoast scene and t’ings like that. Is just a matter of survival, y’know? What made you decide to put out a new record, now? Well, you know what? I’m a singer, like any other singer. And that feeling is always there! You know that! But you hear that saying “the heart is willing but the pocket is weak”? There’s likewise any adult singer who would like to put out a new CD but might be them waiting for somebody to produce them? Some producer to come along there. Well, I said I’m not gonna wait for no producer. The little money that I work, when I can spend a little money on laying a track then I’ll do that track. So that’s how my new CD finish. I take me time and work on the CD, and now I have eleven original tracks. Who do you collaborate with on it?